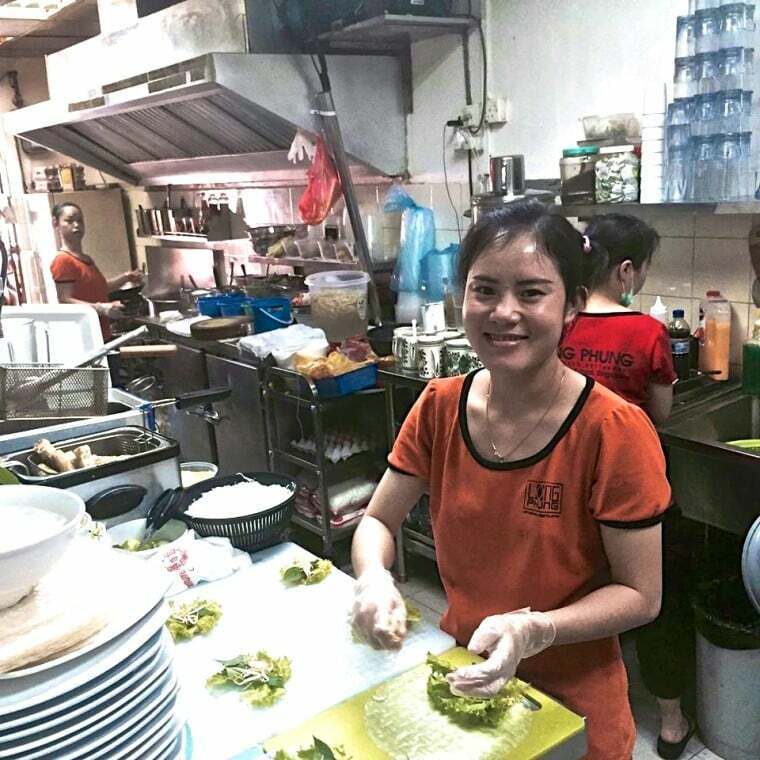 Long Phung on Joo Chiat Road | Is Life a Recipe? A simple statement is; “You must come here.” Long Phung on Joo Chiat Road is a major local favourite of all nations. Prepare to wait though, as it is no booking, it’s cash only, and I guarantee the queue will be out of the door. It is cheap, it is authentic, it is basic but it is BLOODY fantastic grub, believe me (apologies for the photos – iPhone only on me today). This is truly die die must try food. It should be on all foodies agendas. I digress, to the food today. I’ll let a picture paint a thousand words here. So not much chit chat, more action from the photos. Hoping that works for you, as it did for us when we were eating. Here are the lovely ladies in the kitchen prepping and cooking. These lades are just food genius’s. See what she is doing there with the rice papers, rolling, rolling, rolling. Here is what she was rolling. Vietnamese rice paper rolls. Simply gorgeous and very healthy. 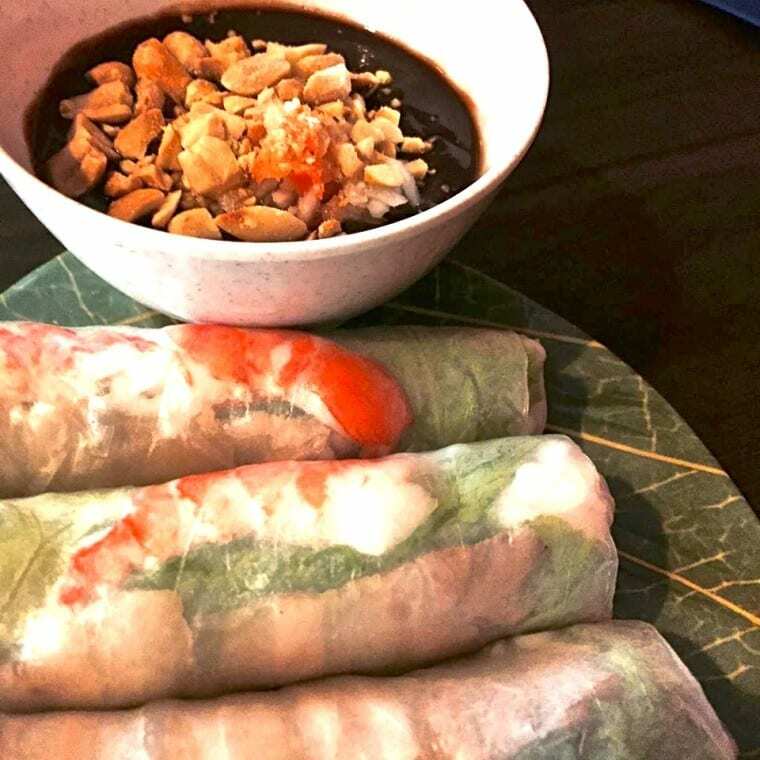 Some steamed prawn, vermicelli, green leaf and roll her up – accompanied by this gooey dipping sauce (like plum sauce) sprinkled atop with crushed peanuts. Oh yeah baby – bring me a tall beer with that please. Up next was the deep fried chicken, eat your heart our Colonel Sanders this chicken really does piss on your parade my friend. Gorgeous. Another beer please. 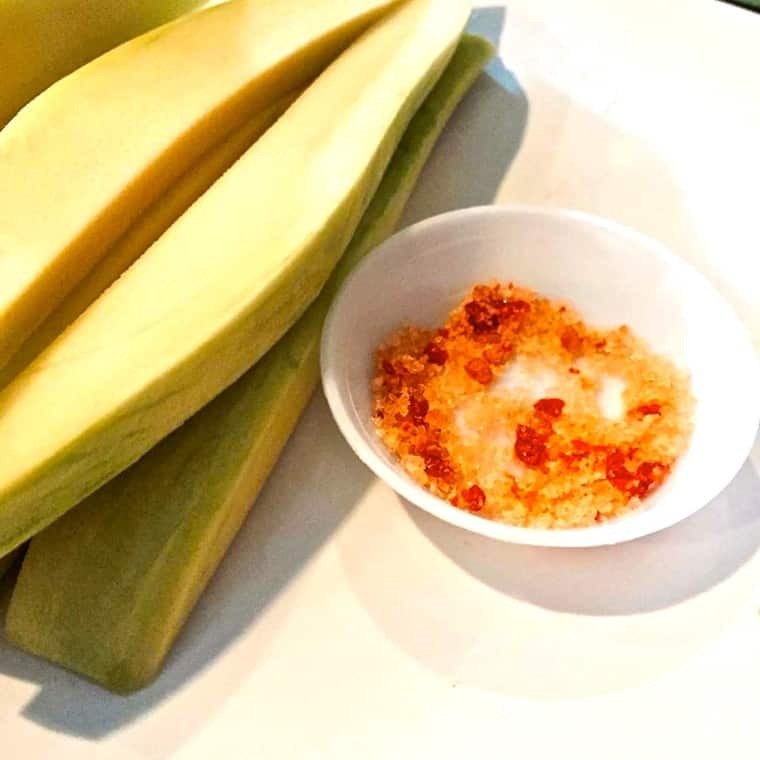 As a little side we had the green mango, with chili salt for dipping. This is lovely as you get the tart of the green mango, with salty side taste and then a WHAM of chili padi. Hi my love another beer please. 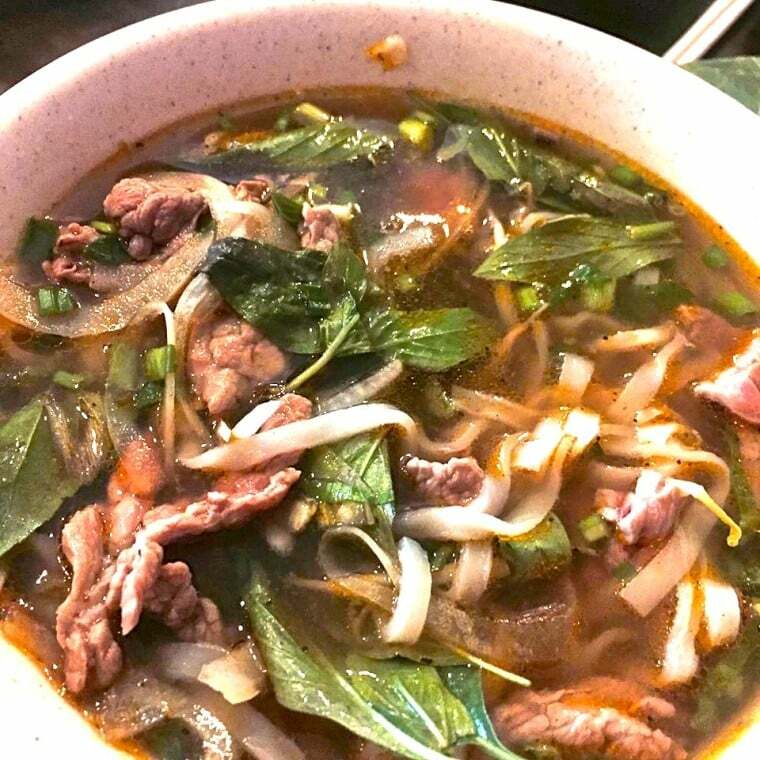 And here is what all the fuss is really about – the famous Long Phung Pho Bo. This is why they queue day after day. One of the best ever consumed by this boys lips. That is even compared to when sitting in Hanoi supping this soup. This is worth a trip to this place, just for this and this only – well an of course another beer please sweetheart. So there you have it folks. Yet another local eatery that is a must on any foodies agenda. Pia Rutherford I’ll call you out here sweetheart as I know you love this place deeply. 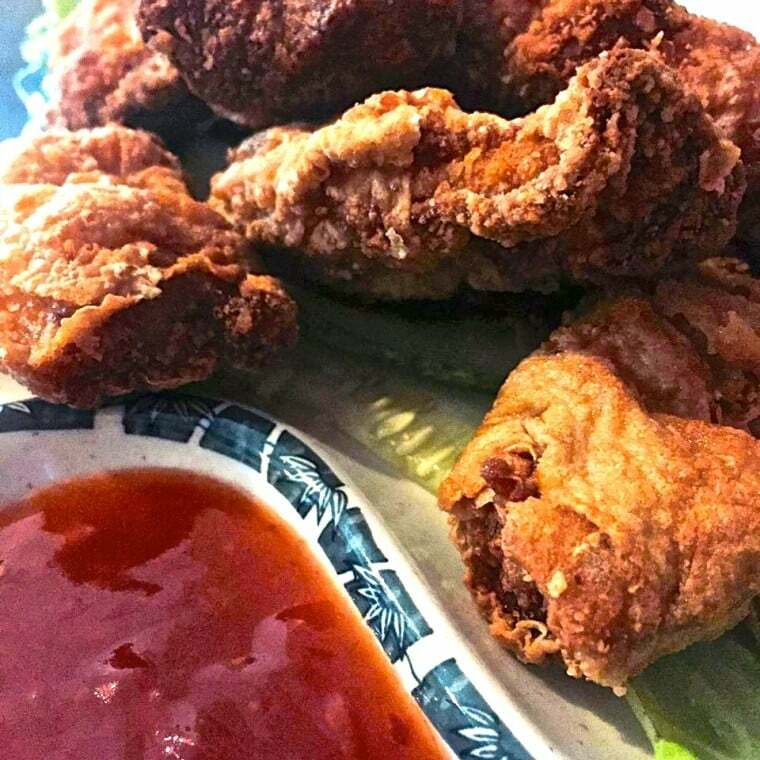 It has to be said that Long Phung on Joo Chiat Road is up there with the very best fine dining and hawkers – it’s a must folks. You simply have to . Bring cash, queue, eat, and go home happy – ENJOY!!! No Replies to "Long Phung on Joo Chiat Road"